It's Friday, which means we've been up since 6AM scouring for the most gripping of new music released today and throughout the week. What? We have! Easing you into the weekend this time round we have the incorrigibly funky Parcels, Oklahoma scuzzy garage outfit Broncho, a meditative vocal performance from Miya Folick, some tropical trap from Kodak Black and more. As always you can find our playlist and some words on our particular favourites below. There is something effortlessly likeable about these five debonair friends from Australia who make 70s disco-influenced pop music under the name Parcels, and it made their lightning rise over the past year all the more worthy. Though the group moved to Berlin three years ago, the spiritual home of their retro sound is better suited to France, and it was at their first show in Paris where their je ne sais qoui charmed the notoriously elusive Thomas Bangalter and Guy Manuel de Homem-Christo and would lead which would lead to a Daft Punk collaboration on ‘Overnight’ in 2017. At risk of becoming a Vampire Weekend knockoff after the popularity of 2014’s radio-friendly ‘Class Historian’, Broncho dismantled their own commercial expectations and journeyed down an altogether more sardonic path. On Bad Behaviour, the Oklahoma natives deliver a sonic scramble somewhere between MGMT’s psychedelic coquettishness and Ty Segall’s more sultry reverb-laden endeavours, funnelled through wide-eyed 80’s teen movie soundtracks all the while. 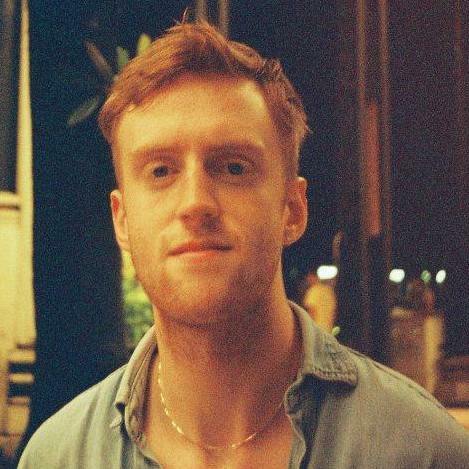 Irish producer Famous Eno has announced a new six-track project inventively titled ‘Music For Clubs’, which will be released on the consistently superb Swing Ting label next Friday. With appearances from the likes of Sinjin Hawke, Gafacci and Bryte (whose debut album we talked about a couple of weeks back), it’s looking like it’s going to be serious business. Let’s be clear, this track isn’t actually very good. But the hype surrounding its release has been almost monumental and is therefore worthy of comment. A snippet of Kodak dancing to the instrumental in the studio at the beginning of September has now been viewed more than 7.5 million times on his Instagram. Since then all sorts of rips, imitation instrumentals, freestyles and remixes have appeared online. And in all honesty, I got quite excited about the release. Earlier this week GRM Daily posted a video of Kodak ‘performing’ the song live with the caption “This song hasn't even come out and it's already one of the songs of the year”. And weirdly that didn’t even seem like too much of an exaggeration.